A ‘mission’ over two decades in the making. 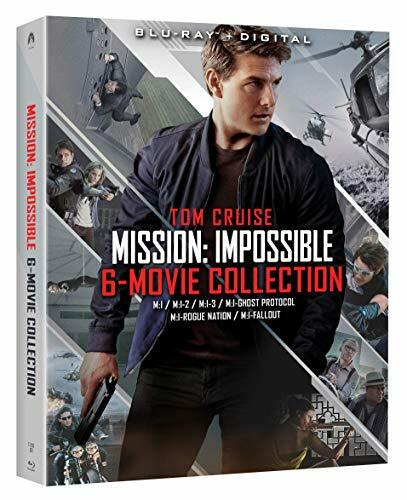 Tom Cruise is IMF Agent Ethan Hunt, one of the greatest action heroes of all time, in the adrenaline-pumping, suspense-filled blockbuster franchise, Mission: Impossible. While supplies last, get the exclusive collectible book, Ethan Hunt’s Case File, which takes you inside Ethan Hunt’s most impossible missions. 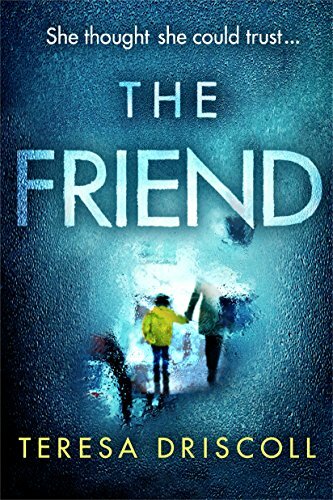 The chilling psychological thriller from the #1 bestselling author of I Am Watching You. On a train with her husband, miles from home and their four-year-old son, Ben, Sophie receives a chilling phone call. Two boys are in hospital after a tragic accident. One of them is Ben. She thought she could trust Emma, her new friend, to look after her little boy. After all, Emma’s a kindred spirit–someone Sophie was sure she could bare her soul to, despite the village rumours. But Sophie can’t shake the feeling that she’s made an unforgivable mistake and now her whole family is in danger. Because how well does she know Emma, really? Should she have trusted her at all? Time is running out. Powerless to help her child, still hours from home, Sophie is about to discover the truth. And her life will never be the same. Colorfy is the free addicting coloring book for adults on Android. Start coloring books now! Enjoy the pictures of mandala, florals, animals and patterns. Feel like a kid again! With Colorfy, you don’t need wifi to start the coloring game. 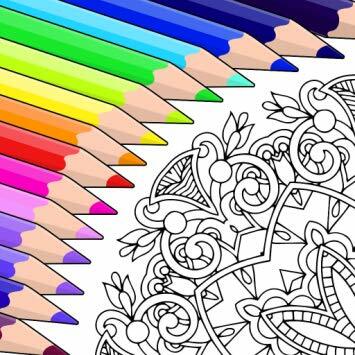 You can color and recolor the blank coloring pages online or offline. Try now one of the best coloring games! Coloring books and mandalas are proved to help adults release the stress and feel better: test it now! It is a great way to relax your mind and have fun! Enjoy this color therapy for free now! – Works offline! No wifi needed to relax on the best coloring book. Get inspired with pics posted by users all over the world! Just browse our own feed or explore the hashtag #colorfy on Instagram. Create your own pic collages that look like real paintings or colorful photos. Unleash your inner artist. Welcome to Tesser: A Dragon Among Us, the first Reemergence Novel. Imagine for a moment that you are a Dragon. A creature of unimaginable power, unending intelligence and strength, and you’ve just woken from ten thousand years of slumber. Worse yet, you’ve awoken underneath a city; Boston, an alien and strange place that defies everything you’ve ever known. Your last memories were of primordial forests, erupting volcanoes sculpting a developing world, faeries, witches, vampires, krakens, and monsters that feared where you turned your eyes. But all that is gone. Humans, only barely coming into their own in the world from your memory, have taken over. They have erected cities made of stone and steel erupting from the earth like stalagmites reaching for the high blue sky, and developed sciences that have overshadowed even the glory of old magic. This was not the way it was supposed to be. Meet Tesser, the Dragon. He who walks in any form, and flies the skies free of fear. A Dragon Among Us is Tesser’s story. Walk with him as he learns the human way, and discovers the dark truth about why magic has really faded from the world he calls home. And just maybe, humanity will remember why dragons were most noble, and most savage creatures again. 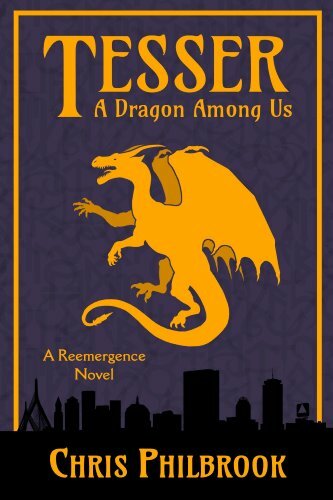 Tesser: A Dragon Among Us is a mythical journey into urban fantasy. Set in the modern day but filled with elements of wonder and magic, it is sure to please enthusiasts of both action, adventure, and romance. Being an angel isn’t for the faint of heart. Amira’s been in Hell for as long as she can remember. With no memory of her human life, she tries to stay under the radar. Of course, being Satan’s errand girl doesn’t make that easy–especially considering she’s killed several other angels at his behest. When she gets yet another assignment from the Devil, it unexpectedly turns her existence upside down. 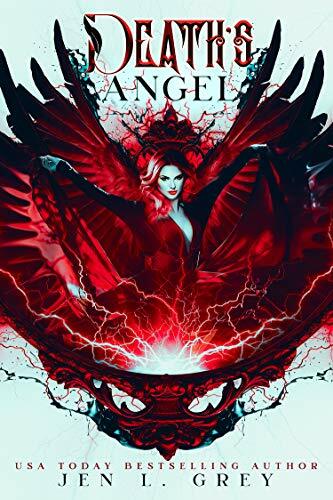 Memories long lost re-blossom, secrets unravel, and her past–as dark as her black wings–comes back with a vengeance. Amira will face a choice. To embrace her true fate, or turn her back on all she’s ever known and loved. Because the fate of the world rests on her less-than-heroic shoulders. It’s addictive and misused, but not this time. This time, it’s the one thing that protects, that guards against the potential of loss. It’s a glass house in the midst of a turbulent storm. You see, I have it all. I am the be all and end all within my small world. A woman with a tight grip on everyone and everything. Nothing can soften my blow or tame my fire. Nothing but Nate. Oh God, Nate can so do it. And I want him to. Badly. Too bad he’s married and one of the good guys. For college student Mia Stalis, the invaders–the beautiful, mysterious Krinar–are only stories on the news. Rumors about them abound: about their impossible strength and speed, their intentions toward Earth… their vampiric tendencies. None of it concerns her, though–until she catches Korum’s eye. Powerful and terrifyingly seductive, the Krinar leader will stop at nothing to possess her. Helplessly drawn to her magnetic captor, Mia is plunged into the dangerous, secretive world of the Ks and forced to choose between truth and lies, her people and her lover… her freedom and her heart. Enjoy a holiday collection from some of your very favorite Dragonblade Publishing authors in this collection of never-before published tales! From the bedecked halls of Regency England to the cold and crisp air of Medieval England, and everything in between, welcome to the magic of a holiday collection that will bring the joy of the season into your heart and into your home. Nine USA Today or Internationally bestselling authors bring you their twist on the holidays using some of your favorite characters in A NIGHT OF ANGELS. Eleanor FitzHerbert&apos;s Christmas Miracle by Maggi Andersen – Childless widow, Eleanor Fitzherbert has resigned herself to a life alone, because most unmarried gentlemen wish for an heir. But after a young sweep gets stuck in the Duke of Broadstairs&apos; chimney, and a handsome viscount comes to his rescue, surprising things begin to happen. A Midnight Clear by Chasity Bowlin – Stranded together by a freak winter storm, Sarah, the Dowager Viscountess Vale, must finally face her long buried feelings for Branson, the brother of her late husband. Can their secret feelings overcome years of animosity? If You Wished For Me by Meara Platt – Two hearts meant to be together, one secret keeping them apart. Is William Farthingale just the man to bring Meggie Cameron the Christmas miracle she needs? Season of Honor by Alexa Aston – In the midst of celebrating their first Christmas together, Geoffrey and Merryn de Montfort are summoned to their stables, where a young woman is about to give birth on the most holy of all nights. Will her baby be the Christmas miracle a couple at Kinwick longs for? The Viking&apos;s Gift by Anna Markland – A heartwarming Yuletide story set in medieval England before the Norman Conquest. A Viking saves the woman he loves from the wrath of a vengeful king. Father&apos;s Day by Elizabeth Ellen Carter – Privateer Captain Kit Hardacre is persuaded to learn more about his family. At the same time, Naval veteran and retired spy Adam Hardacre learns he has a son he never knew existed. Both reluctant, father and son must find mutual ground on which to come to terms with the past. A Joyful Song by Lynn Winchester – Seamus MacAdams needs a miracle–a woman who will love him as much as he&apos;ll love her. Joy Song is new in town and not looking for love, but it isn&apos;t long before love finds her in the form of a man in need of help, just in time for Christmas. A Sprig of White Heather by Avril Borthiry – A crusader knight, thousands of miles from his home in the Highlands, and the young wife he left behind, soon to give birth to his child. In this adaptation of an ancient legend, a token of eternal love gives hope and comfort to a family at Christmastide. From Dragonblade to you, we wish you a very happy holiday season! 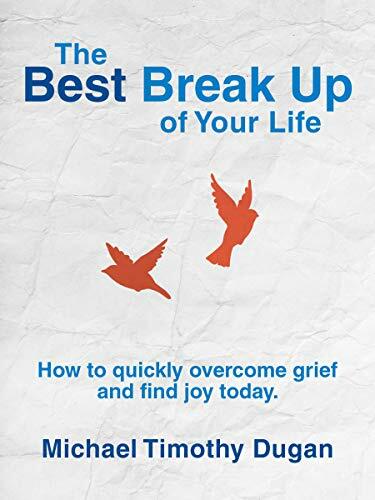 This book will change your life, the author teaches you how to take your break up learn and ingrain lessons that will positively impact you for the rest of your life. Everyone could benefit for this book but it is specifically for those that have been dumped and did not have a choice. Once you make the clear decision to make this the best break up of your life the transformation starts. This author is a professional sales trainer that sells you on you. Buy the book now and embrace it the world needs you healthy. When Lyle Cummings is left standing at the altar on his wedding day, all of his carefully composed plans for the future come crashing down around him. The pragmatic surgeon is left questioning his well-ordered existence and wondering if there might be more to life than the achievements of wealth and career. When he meets fiery lounge singer Katrina Giordano, his mundane life is turned upside down. In her, he finds everything his life has been lacking. With her, he will learn that what he thought was love really wasn’t at all. But will Katrina’s dark past and ties to organized crime threaten the happiness they have found after so much heartache? 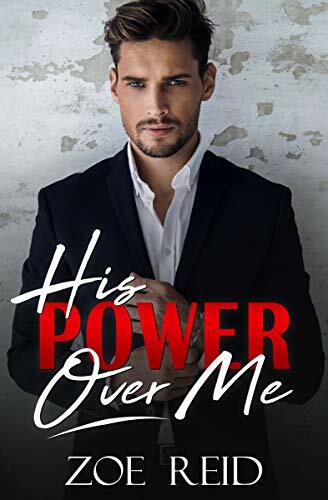 With her life, and now his, hanging in the balance, Lyle will find himself tested when it comes to how far he will go for love. 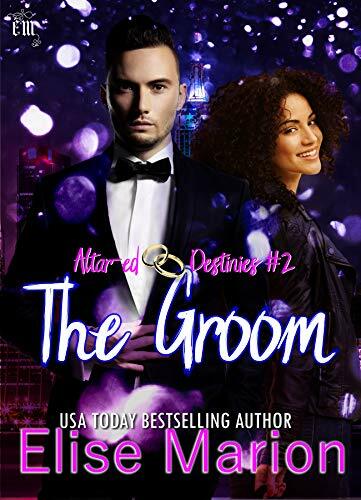 This is the second, full-length, standalone book in the altar-ed destinies series a series of contemporary romances based on a wedding going awry.